Stop in for some delicious French cuisine with Kendell's Bistro Tea Time set menu. Available Tues-Thurs 5.30-8pm and Fri-Sat 5.30-7pm. Prices: 2 Courses - £20.95, Book online for free text confirmation or call 0113 415 0276. Stop in for some delicious French cuisine with Kendell's Bistro Tea Time set menu. Available Tues-Thurs 5.30-8pm and Fri-Sat 5.30-7pm. £22.95 for a three course. Book online for free text confirmation or call 0113 415 0276. 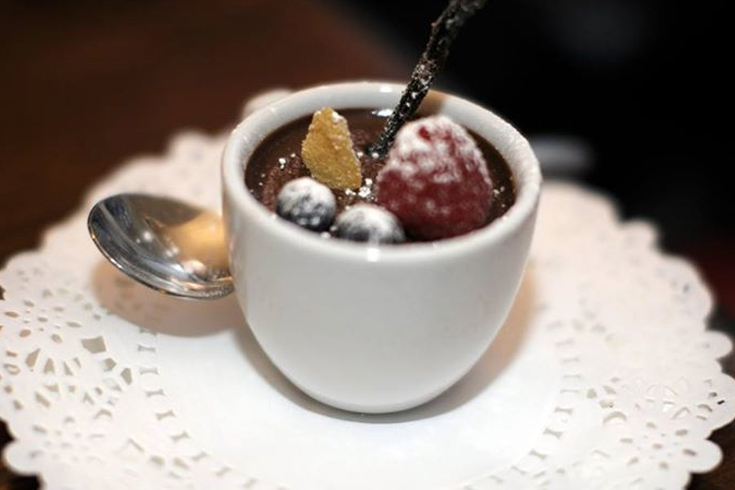 Stop in for some delicious French cuisine with Kendell's Bistro Tea Time set menu. Available Tues-Thurs 5.30-8pm and Fri-Sat 5.30-7pm. £29.95 for a three course and 1/2 bottle of house wine. Book online for free text confirmation or call 0113 415 0276. We dine here on my birthday every year because we know we are in for a culinary treat. 2 glasses of fizz were quickly brought to us, which was a nice touch. The restaurant was almost full, creating a great atmosphere for what was to lie ahead. We started with scallops in the shells, which were divine. The mains were simply beautiful, leg of duck and calf's liver being the other. Service was friendly and precise, a great evening all round, already looking forward to our next visit at this wonderful place. Lovely meal as usual, thank you. Great food and great service. Will definitely visit again. We are now into double figures visiting Kendell's Bistro. The standards of service have remained the same throughout, nothing is too much trouble and the food is excellent. If you don't believe me, try it. Lovely meal. Can get a but noisy but overall the ambience is nice. Amazing service, food and ambiance. Very nice indeed. The food was amazing, the atmosphere perfect blend of romantic and relaxing. Had some lovely wine would definitely go again. We arrived at Kendell and they had no booking for us!!!! Luckily they had room for us. Disappointed that go dine had not secured the booking!!! After this mishap though the food, service, the atmosphere was amazing and I would definitely book again but probably direct with the restaurant next time. Another superb meal after the theatre on Saturday evening. Everything about the restaurant is first rate from the welcome, to the food and the service by well trained young people is an absolute pleasure. Can't believe we haven't been to Kendell's bistro before !. 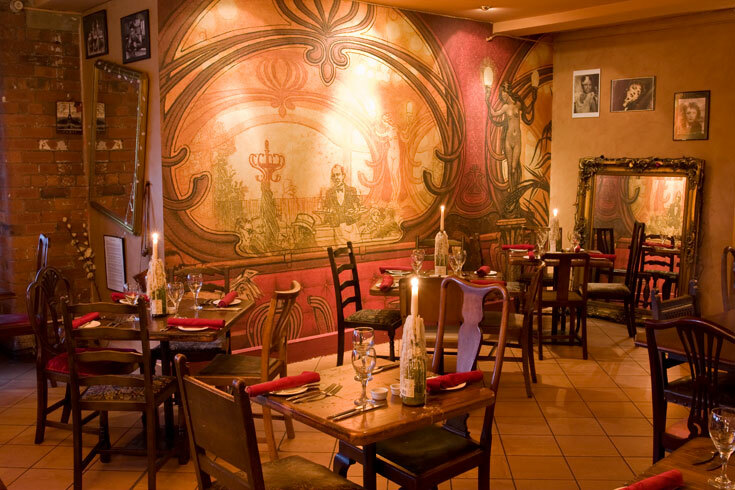 The restaurant has a rustical traditional French charm and feel, soft music, candlelit tables all very romantic. We chose from the evening menu 3 courses which included half a bottle of wine for £29. The food was perfectly cooked and the portions were good size very tasty. 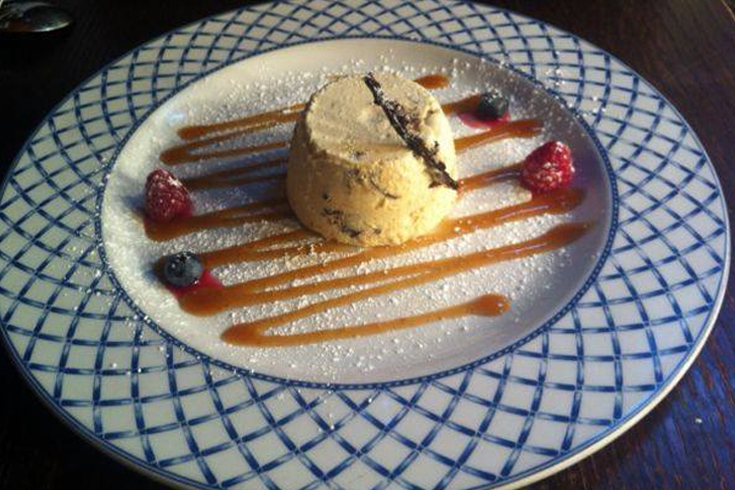 The a la carte menu is chalked up on blackboards again the extensive choice of starter mains and desert. Check the menus on the website you'll be impressed. Excellent food and friendly staff. We were a group of 8 and everyone thoroughly enjoyed the food. We had 3 courses from their early bird menu and were extremely satisfied with everything. The only issue - it was a hot day and the restaurant has quite a low ceiling and no aircon. We probably left earlier than we might have due to the heat. It was also quite dark and we prefer It to be lighter. Excellent all round- asked time of theatre & when we needed to leave at start & adhered to it. 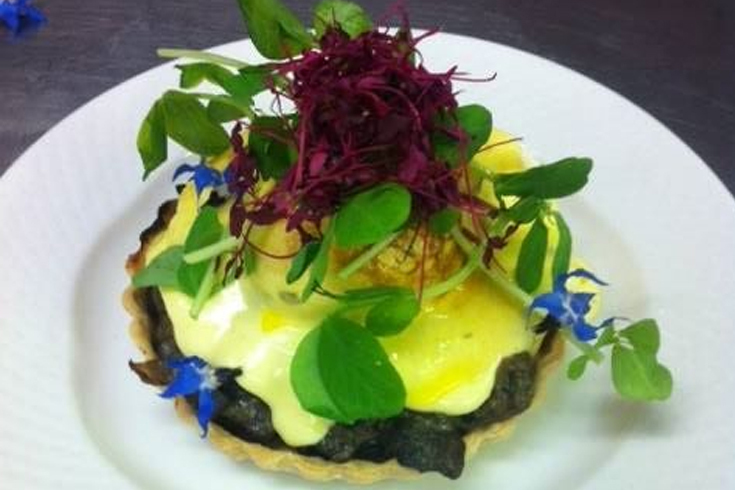 3 course menu with 1/2 bottle of wine each good value - saving about £24 on separate prices. Waiters attentive and knowledgeable. A lovely evening, as usual, everything first class. Fantastic pre-theatre meal. The food was delicious and the service was brilliant. Gorgeous meal, each course was delicious and well presented and the glass of prosecco for my friends birthday was a lovely touch! My husband and I went to Kendal’s for our anniversary. The meal and the ambiance were incredible. Staff are very attentive and very nice. I love this place. Love this restaurant, always good service every time we go. We do the early bird so really good value as well. Booked for my birthday. Great food, service and atmosphere. Would recommend this restaurant without hesitation. The only negative was that the restaurant was quite warm and as such would benefit fro A/C or ceiling fans. Pleasant staff, as usual. Free Proseco and chocolates for anniversary. An unexpected treat. Our meal was most enjoyable. Pleasant and attentive staff. This was our first time at Kendells but we will be coming back soon. Thank you to everybody. Lovely food, great service and nice little extra touches to make a special occasion extra special..... and ultimately great value! Our 3rd visit here, this time we brought friends and they were as impressed as we had hoped. Top place, lovely atmosphere and ambience. Great food and very very good service. We will be back. Thank you!! I took my daughter for her first visit to Kendell's early birds after a trip to The Grand. The food was fabulous with plenty of choice. She is still talking about the restaurant and can't wait to go again. Everything about the experience was a joy. Thank you. We had a superb meal last night at Kendell's. It was the first visit for two of our relatives who were more than complementary. Kendell's even acknowledged my birthday with a free glass of Prosecco and a extra miniature dessert. (No embarrassing singing and sparklers thank goodness). The food is second to none and we will be back again soon. Many thanks. First went to Kendall's 9 years ago when they first opened. It's as good as ever and seems that word has got out! Much busier than before - but a great ambience. Service was efficient and the staff were really polite. The food and menu was rustic and French - just as you'd expect. Great wine list. It definitely won't be 9 years until my next visit, now I'm back in Leeds. The decor is gorgeous typically French, loved the candlelight! The service was impeccable, the best I have experienced for a long time. The food was delicious and beautifully presented. I genuinely can't find fault with this restaurant. If I was to be picky I would say some of the starters are a bit expensive. I would (and have) recommended this restaurant to everyone! Excellent early bird deal. Good atmosphere and great tasting food. Little disappointed there was nothing extra for the booking being for a special occasion but over all very good. Fabulous as always, great atmosphere and service. Just love this place, so friendly and welcoming with the best atmosphere ever. Always a wide variety of dishes on the menu and the pre theatre is such good value for money. Another wonderful evening at Kendells. We had a lovely meal. The soup could have been a little more warm but otherwise delicious. The only downside is the fact that the ceiling is low which contributes to the noise level, but we are aware of this and take it into consideration. Always a lovely evening and this was no different... the staff were all very attentive and looked after us well. This was our first visit for a pre theatre dinner. It excelled in every way and we shall certainly book again. Lovely meal as always , really good service and fabulous ambience. The pre- fix menus are really good value. The staff were very attentive and the food was excellent. Another super 'early bird' meal at Kendell's. It is by far, my favourite restaurant in Leeds and never disappoints. 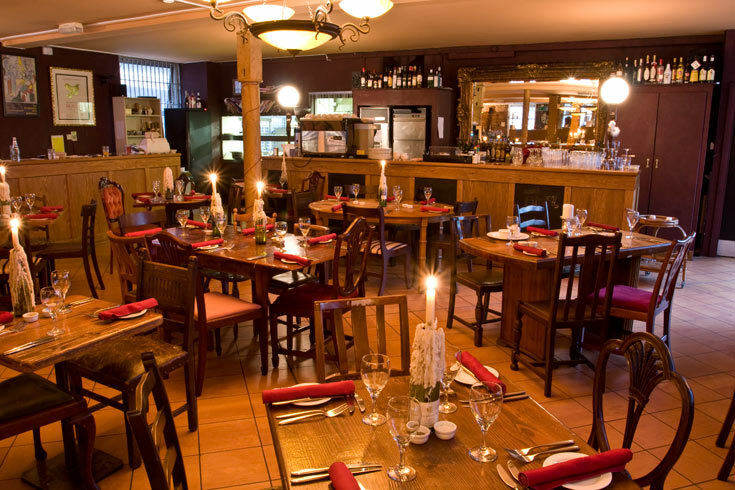 The food is wonderful; the atmosphere is chilled and the staff are second to none. Food was very good and a decent price although the wine we ordered wasn’t available and was replaced with a bottle double the price without us being asked! We mentioned it and the bill was adjusted to suit the price of the original wine! Although ambience was nice, it was a bit too dark to read the menu. The place was beautiful and the food was incredible... Really good service.. My only issue was the heat. Apart from that, it was perfect! Excellent food , staff and service! Visited on the 22nd September and it was divine! The food was just perfect and the staff friendly and helpful. Can't wait to go again what a hidden gem. Four of us went to celebrate the arrival of our grandson and I can't fault the restaurant. My lamb was cooked to perfection and the portions were just right. The house red wine was of very good quality as was the Sauvignon Blanc, which was chilled just right. Great ambience and food. Very good service, can't wait to go back. Kendall's is a rustic, friendly dining. There is car parking very near. Staff were efficient , with the early bird exceptional value for money. 5-star service, food, service etc. We will definitely go again. We went for the early bird menu which is amazing cake for money. The food and service were excellent. The restaurant had a lovely atmosphere. We will definitely return. The pear and almond tart was amazing! I have been many times and so it is not my first review. My friends and I love the 'early bird' at Kendell's. Last night's visit was no exception. The whole evening was great from the meet and greet to the food. Lovely place, gorgeous food, friendly staff. This place is wonderful, can't fault it! I am a regular due to the quality food, service and ambiance. I will be back again and again, best restaurant in Leeds. Generally very good. Very good value and the food was very rich. We had a wonderful meal. The food, wine and atmosphere were brilliant they all contributed to lovely, memorable wedding anniversary! Excellent evening at Kendells, food and service very good value, almost felt like was on holiday in France! Lovely menu options at Kendell's, great quality food for the price. Went for the 3 course with wine - excellent value cannot fault! Marvelous place would highly recommend! The food was absolutely flawless at Kendell's, we will definitely be going again! Amazing food. Service was excellent... had a great time and a lovely evening will definitely be back. Great atmosphere, and the food was sensational. Visited Kendell's before a visit to the theatre. Amazing menu lots of choice. The staff were extremely happy and attentive. Loved the décor, will definitely be back on our next visit from Nottingham. We went for a pre theatre meal and took mum, 86 who at first was wary of dim lighting. She'd recently come out of hospital and wasn't at her best! She was won round though by the lovely meal and excellent service! We will definitely go again! As always, Kendell's was superb. Having been before this was my first Christmas lunch, and it was wonderful. The fairy lights and decorations were great. Happy Christmas. Great experience at Kendell's Bistro, would love to come back again! This is the second time I've been to Kendall's- service is brilliant and they are so welcoming. Such a cute, unique restaurant. I took off one star because my seabass was a bit tasteless but overall it was good, my husbands fillet steak was incredible! Excellent food and ambiance and a treat before the theatre. Kendell's is a fabulous restaurant. Would definitely go again. Only let down is that the service staff didn't speak french - that would have made it extra special. Excellent service, great food, great staff. Will def return. We had a lovely early birds yesterday. 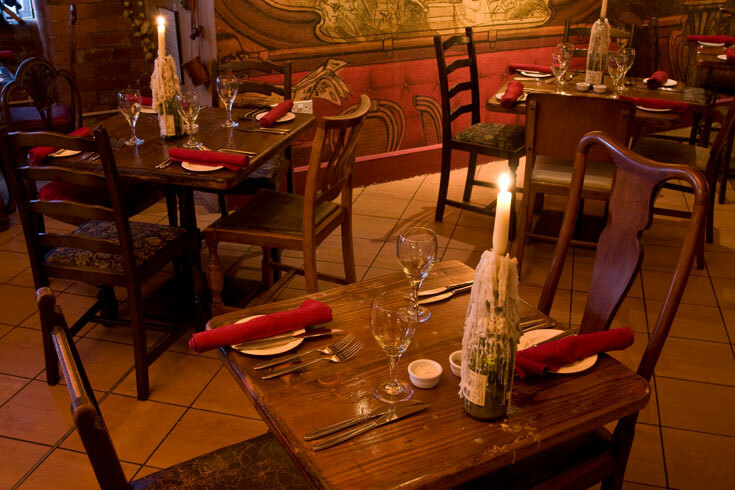 The food was beautiful, very good value and the staff were very efficient and friendly. This is not our first visit here and will not be our last. We booked in for a pre theatre meal. On entry we agreed a time we had to leave. We didn't have a starter but had to ask after the food when after 45 minutes we had still not been served. We were served quite quickly then. The waitresses were good. The food was excellent and the ambiance too. We will certainly go again. Absolutely loved it! The experience was amazing, good food, service and atmosphere. The menu choice was great and they were very accommodating for my husband who is somewhat a fussy eater! Can't wait to go back! Had a lovely evening at Kendell's Bistro and the food was amazing! We had a great meal the fillet steak was gorgeous and the atmosphere in the restaurant was great really buzzing! Will definitely be back. 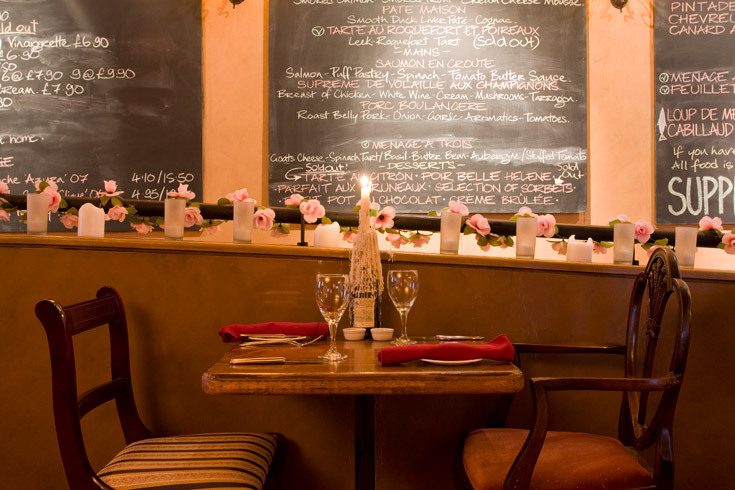 Two/three course prix fixee meals are amazing value for money at Kendell's! Have dined here before, but will certainly bring friends here now. Kendell's is such a great place, you must go! Kendell's Bistro is a little hidden treasure. 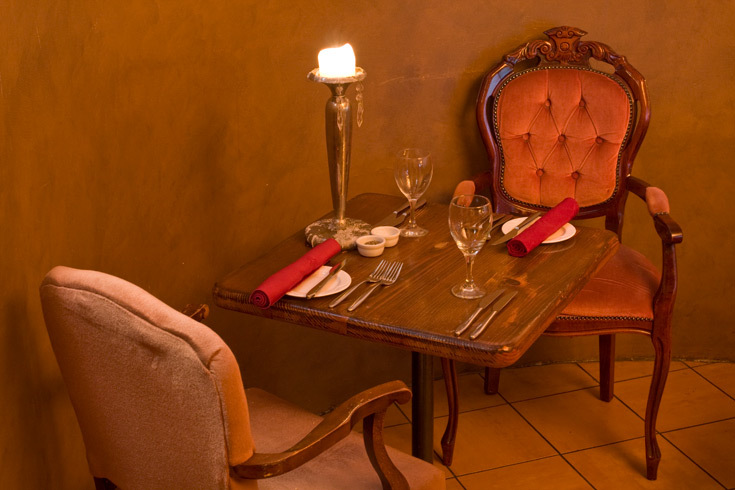 An ideal romantic atmosphere with exceptional customer service. A little pricey but the venue, attention to detail and service made it worthwhile. An excellent evening. Great service, great food. Great meal again for our second trip to Kendells Bistro! Took my parents to celebrate my Dads 69th birthday this time and have now made another 2 converts! The brilliantly attentive (but not fussy) staff gave Dad a free glass of champagne to start the meal off and also brought us a free plate of 4 little French sweetmeats at the end of the meal. We had the superb Confit de Canard again and also the Boeuf Bourgignon, the duck still being our favourite. Then the Poire Sable Praline for desert. Early bird pre-theatre menu is truly great value and the traditional French food is top-notch, classy but still kinda homely fayre (ie: Cassoulet and Gratin Lyonnaise soup in the Elizabeth David tradition). If you go to Kendell's once, it WILL become your 'go to' restaurant in Leeds. There is no doubt!! Kendell's Bistro - All fabulous! This was the first time I'd been to Kendells Bistro and both the atmosphere and food was fantastic. We had the £19.99 Early Bird 3 course menu which is brilliant value, add £5.95 and you get a half carafe of house wine too! I had the Gratin Lyonnaise (French onion soup made with beef stock) and then Slow-cooked Confit of Duck which literally fell of the bone and tasted divine!! Deserts were Prune Parfait and Pears Praline Sable....both beautifully French and soo good. Great place; went for the early bird menu before hitting the Playhouse and was really happy with the whole experience. We also got a free glass of bubbly because it was our anniversary! Thanks to all the staff. First visit to Leeds and booked Kendell's restaurant based on excellent reviews. It's very quirky and cosy inside and food was excellent. I have to say though where our table was positioned there was a constant flow of busy waiters and waitresses rushing past us which didn't create a relaxed atmosphere so pick your table wisely. Good honest food at Kendell's - tables and chairs a little cluttered, and all a bit dark, but OK if you like that sort of thing. I always feel right at home in Kendells Bistro. The staff are always friendly and very well trained, the atmosphere is nice and lively and the food is excellent quality. 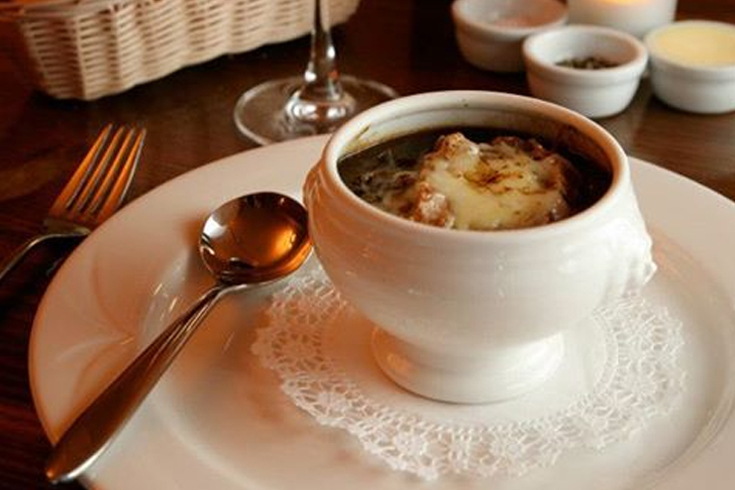 My favourite dish is the duck confit ‘sarladaise, as its perfectly cooked so that the flavours melt in your mouth. Really stunning restaurant and the food was absolutely lovely. We've not been living in Leeds long so I'm really pleased to have found Kendell's restaurant! Only complaint was the potatoes, which all four of us thought had too much garlic . We had a fantastic time once again. Brilliant. Another enjoyable meal with the family. My friend and I chose to dine at Kendells bistro as we were going to the playhouse for an evening of ballet. We had booked for the two course Tea time at Kendells bistro offer at £16.99. We were welcomed on arrival and thanked for coming on our second visit which made us feel at home immediately. 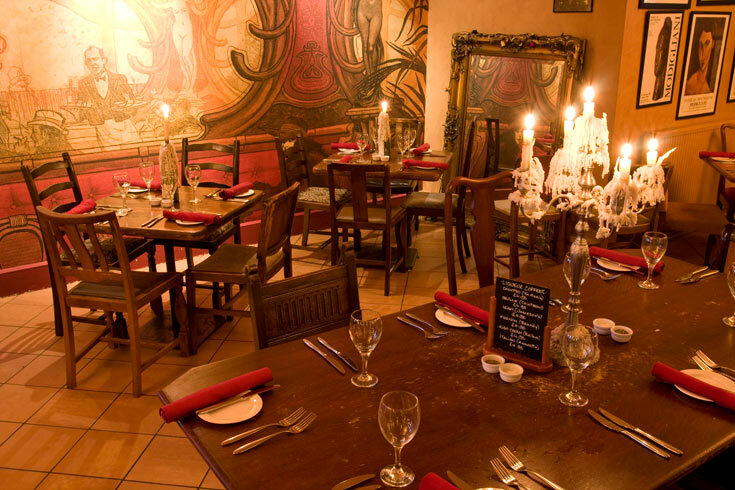 The atmosphere is inviting and relaxed with candles on the tables , there are large blackboards full of very tasty dishes – so plenty of choice both a la carte and for the tea time menu. The cuisine treats you to a taste of France. For starters we opted for the salmon mousse with lobster bisque jus that was excellent and I followed that up with the Porc boulangere which was both succulent and flavourful my friend had the calves liver , saying that it wasn’t something you could have in most places and how underated it was. He too enjoyed his meal. The service was excellent – the staff only too pleased to help and the meals beautifully presented . It was a good choice. Took a friend for a pretheatre meal. Service and food were excellent, and good value at the special price. What a refreshing change kendell's Bistro is from the stylised restaurants that are found around Leeds. This is the kind of restaurant that i have been looking for for some time. The atmosphere is relaxed with the focus firmly on the food, which is (and i'm not exaggerating)absolutley sublime. My wife and I had a three course meal, the portions were generous and we still managed to polish our plates off since the food was so good. This is a little gem in the heart of Leeds, long may it continue to sparkle. A return visit to Kendell's as we enjoyed it so much last time. This time we were a party of four. It was not so busy, presumably as it was mid-week. The staff were helpful and attentive, checking whether we had a deadline to meet and recommending an excellent Sauvignon Blanc. Our two friends enjoyed their meal very much and were very pleased with our choice of restaurant. An extremely popular restaurant. There were around 10 of us waiting outside for it to open at 5.30 pm. It's rather magical when you enter from a somewhat unpleasant street to the lovely room full of candles and fairy lights. The service was exemplary, despite the fact that the place was full within about 15 minutes. The food was delicious and very well presented, the portions being just right for me and my son. The early evening fixed price menu is good value. 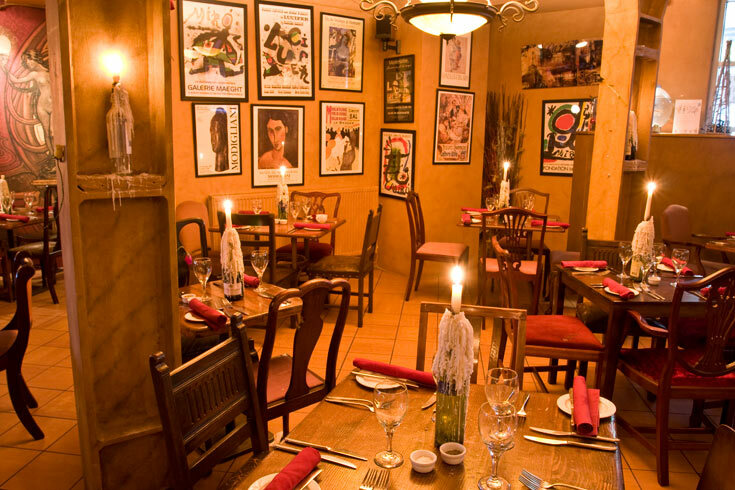 There is a very large selection of a la carte dishes and a comprehensive wine list. Would definitely like to make a return visit. Had a reservation for 11 but due to weather conditions only 7 attended and the communication with the restaurant manager was excellent. The general ambience is relaxed and french glamour meets vintage shabby chic. The service was faultless from greeting to leaving accomodating for 2 late comers with little fuss. The boards are a little difficult to read from a distance but in a way adds a certain something to the feeling of the place. Food we ordered from the early doors menue three people ordered the beef but they had run out not really a problem but a little surprised. All thoroughly enjoyed the night and we will certainly return. Good food with pleasant service and atmosphere, worth to go again, the size of food is quite generous, we nearly couldn't finish even it tasted so nice. Ambience very good - candles on tables lit. Romantic feel even for the early bird sitting. Tables well spaced. Good choice on the menu and good sized portions. Very good value for money. Staff very polite and well dressed giving a looked after feel to the evening. Winner of the Leeds Best Restaurant award in 2010, you'll find Kendell's Bistro opposite the new Leeds College of Music in the thriving arts district of Leeds city centre: next to the West Yorkshire Playhouse and the new BBC building. 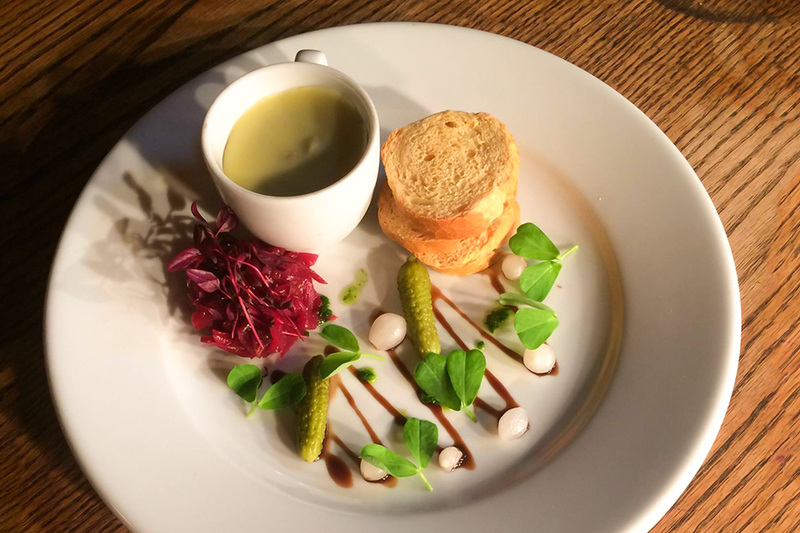 Owned and run by Steve Kendell, a passionate Yorkshire man with a wealth of experience gained in Paris, the Dordogne and the Michelin starred Box Tree restaurant in Ilkley, it's a French haven in the middle of the city centre. Steve strongly believes in having a relaxing dining experience and ensures that guests are able to relax in a pleasant and warm environment without any air of pretence. 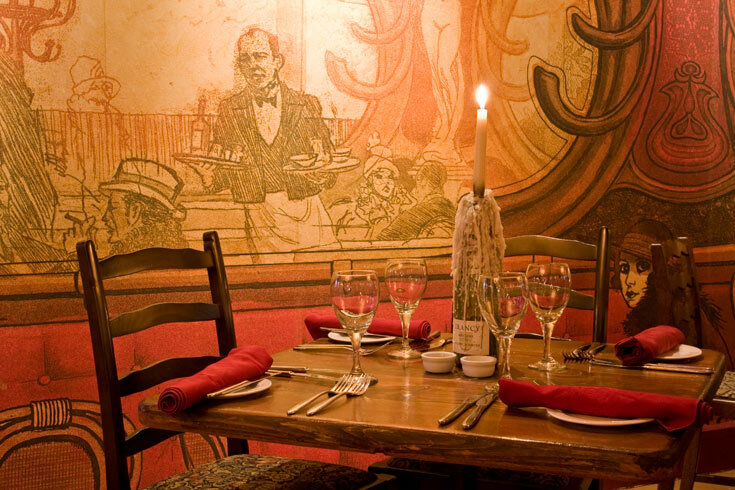 The dining room is beautifully decorated and exactly mimics the atmosphere and styling of a Parisian bistro. With soft lighting, bespoke artwork painted directly on to the walls, candles in champagne and wine bottles on every table and huge gilt-framed mirrors wrapped in fairy lights, the effect is romantic, intimate and one of a kind. You will not find waiters topping up wine glasses after every sip or sneaking up behind you with a giant pepper mill; instead you will find yourself able to leisurely peruse the blackboard menus and watch your meal being created by the highly talented chefs in the open kitchen. The menu is updated on an almost daily basis, as the kitchen like to utliise local produce as much as possible, and therefore work with what is seasonally available each day. With a fantastic value pre-theatre menu and a delicious a la carte menu, you will be truly spoiled for choice when dining at Kendell's. Highly recommended dishes include the Porc Boulangere, roast pork belly with rosemary and garlic potatoes; Saumon en Croûte with spinach, tomato, butter and a rich sauce wrapped in puff pastry; and, for the risqué vegetarian, Menage aux Trois promises to be a real treat with a leek and Roquefort tart, white bean and aubergine timbale and spinach and pine nut croquette. 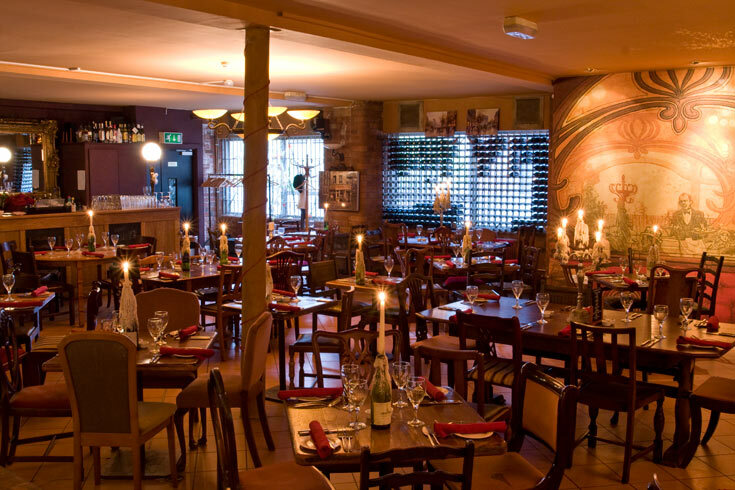 Kendell's Bistro in Leeds city centre is easily the most romantic restaurant in Leeds: it boasts a beautiful environment and the attention to detail is meticulous. It’s perfect for everything, from an intimate meal for two to a sophisticated catch up with friends over fine wines or a pre-theatre treat. Whatever the occasion, we guarantee you that you’ll be wanting to return. Please note that this is a sample menu only. Menus change daily. Please note that if you are dining from the Tea Time menu Kendell's will normally require your table back within one and a half hours. Stop in for some delicious French cuisine with Kendell's Bistro Tea Time set menu. Available Tues-Thurs 5.30-8pm and Fri-Sat 5.30-7pm. £22.95 for a three course. Stop in for some delicious French cuisine with Kendell's Bistro Tea Time set menu. Available Tues-Thurs 5.30-8pm and Fri-Sat 5.30-7pm. £29.95 for a three course and 1/2 bottle of house wine.